Cat, 5⭐️x2 newest beautiful creations. Left 5***** on your 17 newest pots. Your brushwork is amazing! Hugs! Thank you Badem! 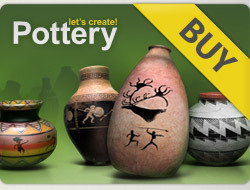 I viewed 24 more of your past fantastic pots! 24 x 5*****! Thank you Cat, 5⭐️x5 newest gorgeous creations. 5 stars to your newest 2 stunning pots! Have a nice weekend.